Diffractive optics such as holographic optical elements (HOE) can provide transparent and narrow band components with arbitrary incident and diffracted angles for near to eye consumer electronic products for augmented (AR), virtual reality (VR), and smart glass applications. In this talk, we will summarize the general optical geometries relevant for near to eye displays, the holographic materials available for these applications, their performance characteristics and ease of manufacture. Dr. Coe-Sullivan graduated from Brown University with an Sc.B. in electrical engineering and received his Ph.D. in Electrical Engineering from the Massachusetts Institute of Technology (MIT). 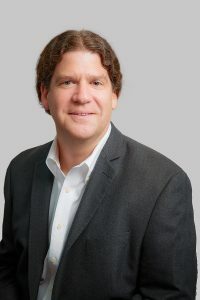 An expert in quantum dot materials and devices for solid state lighting and displays, Seth holds numerous patents relating to quantum dots (QDs) and organic light emitting devices (OLEDs) and is a frequent invited speaker on the subject. His doctoral thesis led to the formation of QD Vision, a leader in quantum dot technology for QLED™ displays and a company he helped found. Dr. Coe-Sullivan has a proven ability to bring complementing products and technologies together and his role at Luminit includes intellectual property strategy, technical marketing and business development.